Ever finish Thanksgiving dinner and wonder ‘What am I going to do with all these leftovers’? 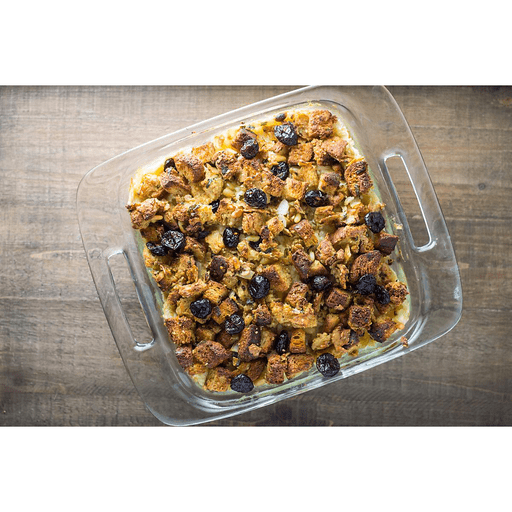 This year, use up extra turkey, stuffing, mashed potatoes and cranberry sauce in this easy and delicious Thanksgiving Leftovers Casserole. 1. Preheat oven to 375°F. Spray 8-inch baking dish with cooking spray. Set aside. 1. Stir together ¼ cup mayonnaise and cranberry sauce in a small bowl. In a medium bowl, mix together remaining ¼ cup mayonnaise, mashed potatoes and mozzarella cheese. 1. Add 2 cups stuffing and spread evenly over the bottom of the prepared baking dish. Top with turkey. Spread cranberry mixture evenly over turkey. Top with mashed potato mixture, then add remaining stuffing. 1. Bake 40 minutes or until heated throughout. Garnish with optional dried cranberries and serve. Nutrition facts for this recipe will vary greatly depending on the original recipes used. *Nutritional values are an approximation. Actual nutritional values may vary due to preparation techniques, variations related to suppliers, regional and seasonal differences, or rounding.